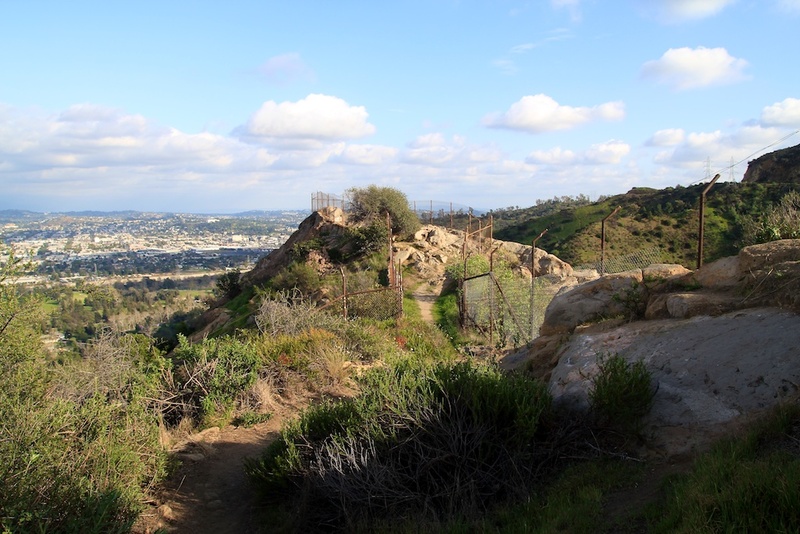 Bee Rock is another little gem of a hike that is located right next to the old LA Zoo in Griffith Park. This area is quickly becoming one of my favorite stops in LA as it is so close to the hustle of the city yet it feels so far away. 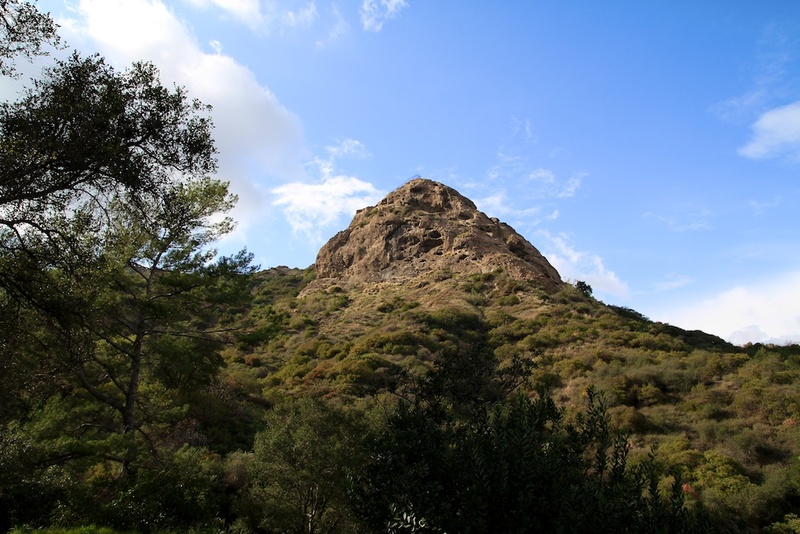 This unusual mountain juts out of the Griffith landscape like a sore thumb, and is a great little hike that is intense enough to get your blood pumping but not difficult enough to stop most people from getting to the top. It is named Bee Rock as it looks like a bee hive from far away with all of the holes in it (see below). At right under 3 miles (taking the short cut) and 5 miles round trip if you walk along the road, it is a great excursion that provides beautiful city views. From the parking lot it is a pretty straight shot up to Bee Rock if you follow the dirt road trail. 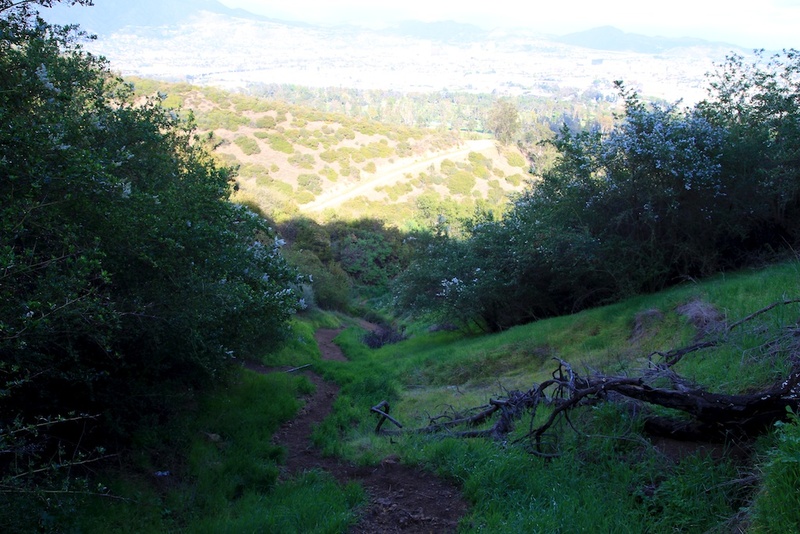 This path will take longer but is a smooth incline the whole way while the short cut (below picture) is a steep incline with some small scrambling but will cut a mile off your trek. 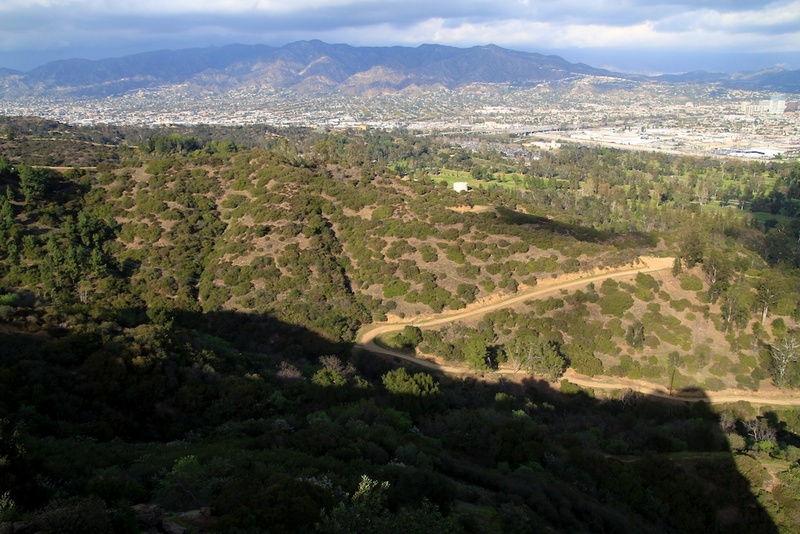 For information on the hike and detailed instructions on picking up the short cut I recommend this blog, it is what I used when I was hiking it and is really easy to follow and provides more detailed information then I could. 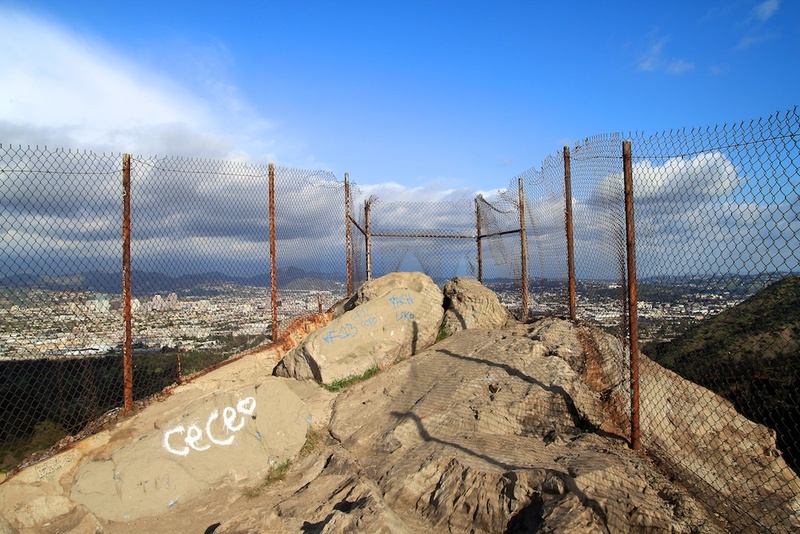 After reaching the path to the summit of bee rock you will start to see a fence creep along your side. 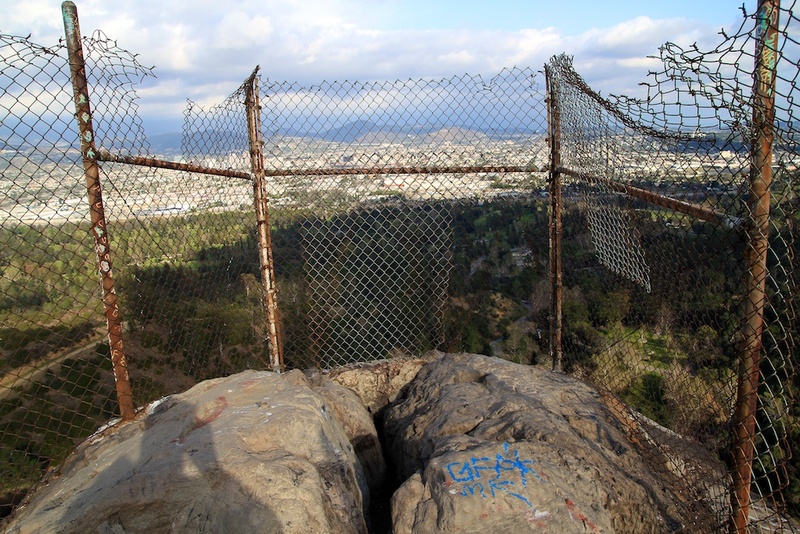 This fence reaches about 7 feet tall and wraps around the front of the Bee rock vista point. Now I understand why this fence is here, as I am sure someone probably got to close to the edge and it became a hazard, but it really does mar a beautiful view. When I was there, however, the fence had a big hole cut out of it so I was able to walk to the edge to get some nice panoramas and really enjoy the view that I spent the last mile and a half getting to. Check out some of the pictures from the top. 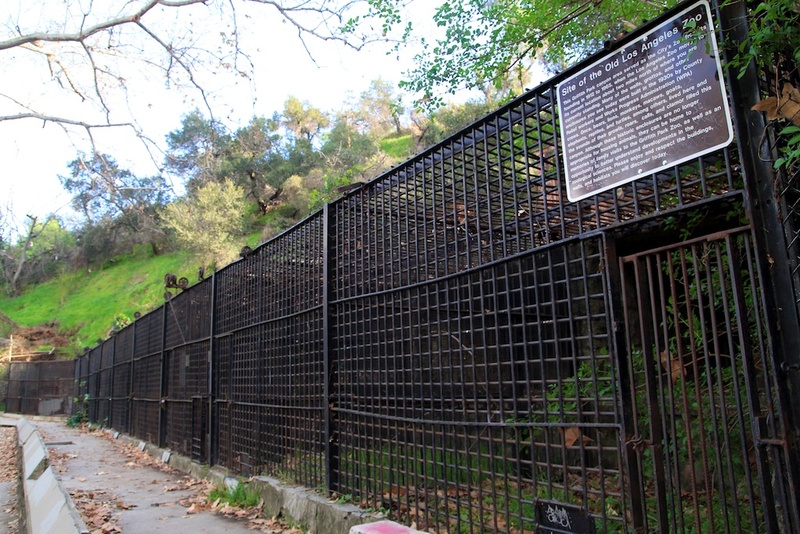 After heading back down the way I came, I was dropped right into the Old LA Zoo. This is another great place to explore and you can read my post on that here, but make sure not to miss it. Here is my video review as well. 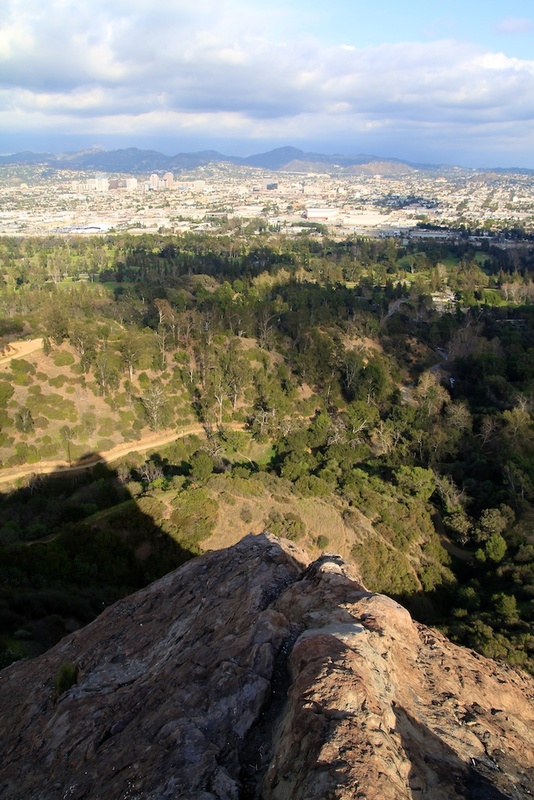 All in all Bee Rock is a unique hike that provides a beautiful vista of LA’s urban jungle. It is a nice workout and one that I would recommend for any adventurous member of the family. You can check out my trail map here, the rest of the photos below, and get directions at the bottom of the post. Make sure to let me know if you have been there as well and what you thought.